“Iraq’s Jews: 70 years after their expulsion, they seek to return to Iraq and become citizens again. Are you in favor or against their return, and granting them citizenship? This was the question posed last Friday by Al-Khuwwa al-Nathifa (“The Clean Brotherhood”), one of the most popular Facebook pages in Iraq, which has more than 1.7 million followers. More than 62,000 people participated in the poll, which received over 5,000 likes and 2,800 comments. The bottom line is, a significant majority favors the return of Jewish Iraqis: around 77 percent voted for, 23 percent were against, and the voting ends on Thursday, which makes the overall results unlikely to change. Many respondents recalled the place Jews occupy in Iraqi history. 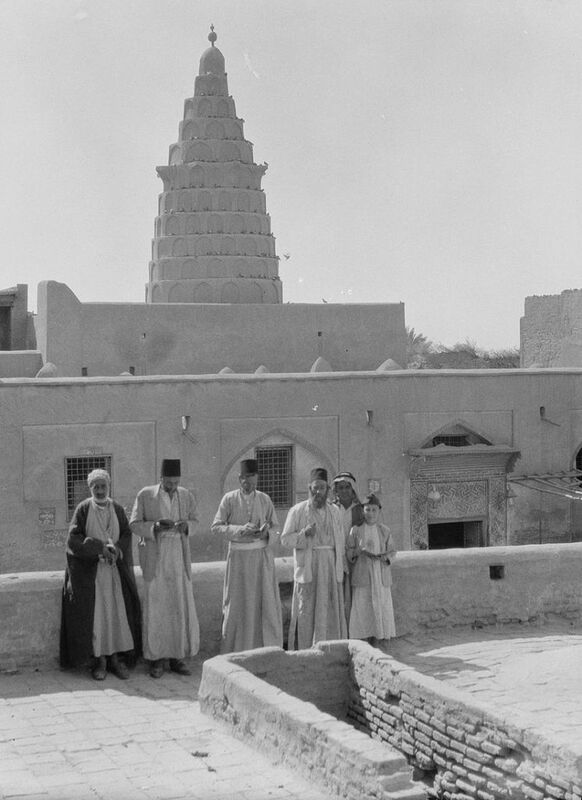 “Iraq’s Jews helped develop Iraqi history in several fields: political, economic, cultural, religious and social,” wrote Samir al-Sirafi. “We hope that they will be granted the rights that were taken away from them, because they are sons of this land, and are partners to its well-being,” he added. Another wrote, “the Jews are the original inhabitants.” Jews had lived for centuries as a minority in Iraq, until the late 20th century, when hundreds of thousands of Iraqis either fled or were forcibly displaced from the country. Others explicitly link the return of the Jews to the treatment of other minorities: Christians, Kurds, Yazidis, and others. “We are all humans, the Jews and the Christians are our brothers,” wrote Mustafa al-Mihdawi. “There is no difference, and this is their country. We must cooperate, following Prophet Muhammad’s moral tradition in collaborating with all the monotheistic religions with pure intentions. Jews and Christians, I love you.” This reaction earned 28 likes, more than any other comment. Some view Judaism as the remedy to the problems Iraq is facing today. “We tried Shiite, Kurdish and Sunni,” wrote Amir al-Araji, “they are all thieves. We will hand the government over to a Jew or a Christian, maybe they will let us live in dignity.” Another person wrote: “I am willing to give up my citizenship and hand it over to a Jew.” Qassem Sima even finds a political opportunity in Jews: “The return of the Jews to Iraq and their participation in the Communist Party are the only solution to this country.” It seems the memory of the large membership of Jews in the Iraqi Community Party pre-1948 is still alive. A significant number of people who commented distinguished between being Jewish and being Zionist. “The Jews are not our enemy,” wrote Aziz Falah a-Shujiri, “our enemies are the Zionists who occupied Palestine.” Despite that, he still supports the return of the Jews to Iraq. Generally, the Israeli-Palestinian conflict was present in the comments, but not very definitively. 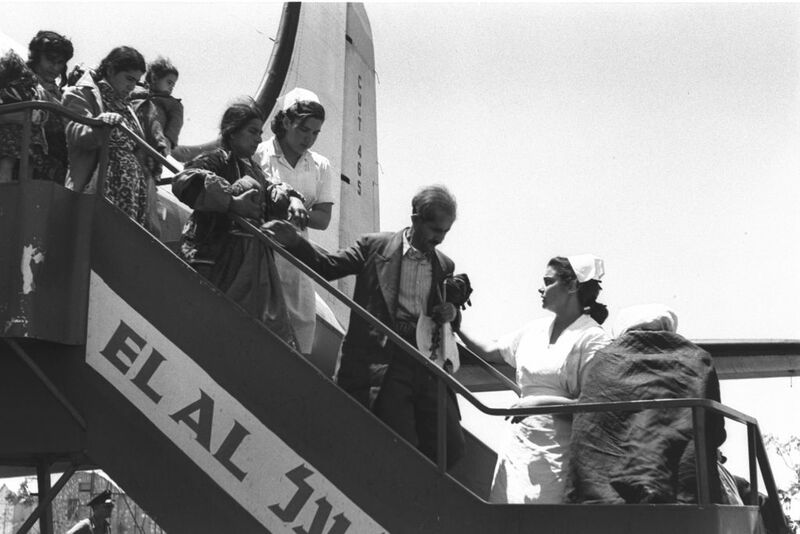 Some suggested that, for Jews to receive Iraqi citizenship, they should give up their other citizenships – especially their Israeli one. Several said they support the return of Jews to Iraq but only if Palestinian refugees would also be allowed to return to their homes. One commenter, Ahmad al-Khudeir, said that Iraq “needs to reach a peace agreement with Israel,” to guarantee peace and security. Of course, this is not a representative sample. The Facebook page – administered by young Iraqis in their 30s – offers real-life assistance to its members, and takes a strong stand against sectarianism in Iraq, which they believe is the source of all problems afflicting their nation. After Saddam Hussein’s persecution of Shiites and Kurds, and after civil war, triggered by the 2003 U.S.-led invasion of Iraq, one can understand why such an anti-sectarian position is gaining traction. According to Behar, even back in the days of Saddam Hussein’s rule, exiles who left Iraq would be nostalgic about the Jews who were expelled. This nostalgia was regarded as a sign of resistance to Saddam’s regime, who was personally associated with their persecution. Saddam’s fall catalyzed the shift, said Behar. He also attributed it to technology, since the internet and social media make it easier for people to reconnect with Jewish Iraqis who left. Given this context, one can understand the surprising declaration by Muqtada al-Sadr, the Shiite cleric whose coalition won most seats in Iraq’s recent parliamentary elections. “If their loyalty was to Iraq, they are welcome,” he said, when asked whether Jews could return to Iraq. According to Behar, a magazine in Baghdad called “Msarat” which sufficiently covers questions regarding minorities included the question of Iraqi Jews. Recently, an Iraqi TV channel sent a man dressed as an Orthodox Jew around the streets of Basra, as a hidden camera followed him knocking on doors, telling residents that his grandfather was from the city, and that he wanted to return and purchase a house there. The responses were positive. Bracha said a member of the Facebook group asked an Iraqi friend to take a photo of their family home in Iraq. “The house stood untouched, waiting,” Bracha added. There were, of course, a few anti-Jewish remarks as well, but not more than four or five. “I am against, Jews are a cause for trouble,” said Mohammad al-Jaburi. Alaa al-Iraqi wrote, “Allah does not like countries that have Jews in them,” whereas another commenter was concerned that if Jews would return, “they will ask for considerable compensation, and will take over Iraq’s trade and economy.” In his view, the return of the Jews is a plot that President Trump is behind. Very few Iraqis discuss the return of Jews as a practical development. The question is posed internally, as a reflection on how Iraqis view themselves, and the space Jews occupy in their imaginations of Iraq. One commenter, Husni al-Iraqi, bothered to read an interview with Iraq-born Israeli poet, Ronny Someck, who was asked about al-Sadr’s pronouncement welcoming Jews. Someck is “realistic”, wrote al-Iraqi, he understands that return is not going to happen anytime soon. Still, al-Iraqi quoted Someck’s surprise at the fact that not a single Israeli politician reacted to al-Sadr’s statement. Are Iraqis more open and ready to talk about the right of return than Israelis are willing to? That’s what the conclusive results of the Facebook poll conducted by “The Clean Brotherhood” seem to suggest.